Well here we go! 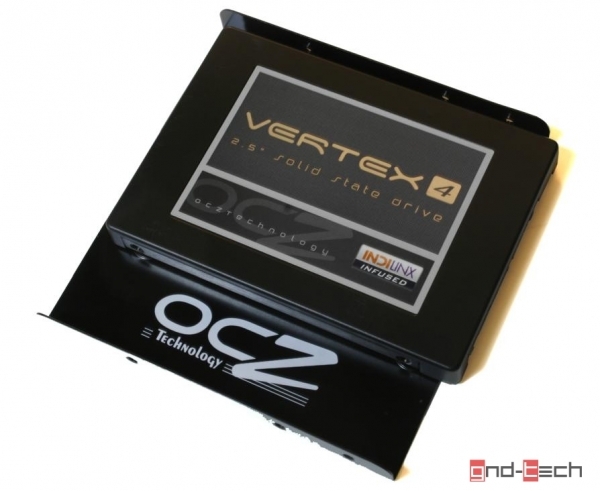 another SSD series from OCZ, the Vertex 4. 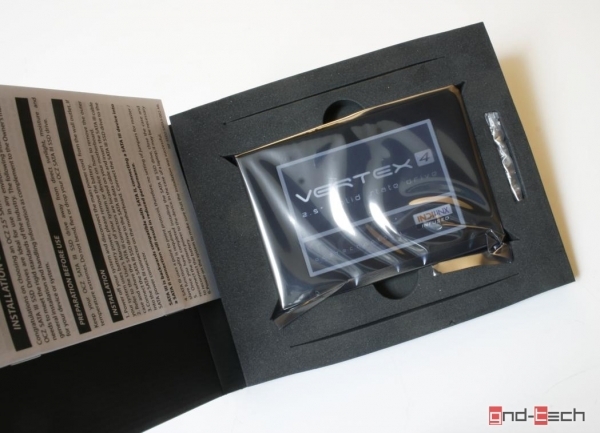 Now you may be thinking, with SSD speeds as good as they are now days, how is the Vertex 4 any different? Well probably the biggest answer to that question is the addition of the new home-brewed Indilinx Everest controller. Up until now, the Vertex lineup has been powered by the SandForce series controllers. Since the SandForce controllers have a long history of bringing in massive performance, it will be interesting to see how OCZ’s controller stacks up. In this review we will be looking at the 256GB model which according to OCZ’s website, brings in a whopping 560MB/sec read and 510MB/sec out. This along with 90,000 IOPS random 4K read, and 85,000 IOPS 4K write, tells us before even testing the drive that we should see some pretty impressive numbers from the start. The Vertex 4 comes in four verieties: 64GB, 128GB, 256GB, and 512GB. MSRP is $279.95 USD. Like mentioned on the page prior, the OCZ Vertex 4 is equipped with OCZ’s own in-house controller, the Indilinx Everest. This is no doubt the biggest difference when comparing the Vertex 4 with any other prior version. We will discuss this controller in detail on the next page and hopefully answer some questions you may have especially the advantages or disadvantages over the SandForce controller. But one thing is for sure, from what we have found, an SSD is mostly limited by the performance of the controller. Serial ATA (SATA) Fully compliant with Serial ATA International Organization: Serial ATA Revision 3.0. 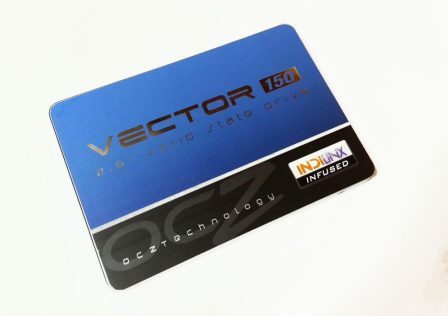 OCZ also includes a 5 year warranty with the Vertex 4. 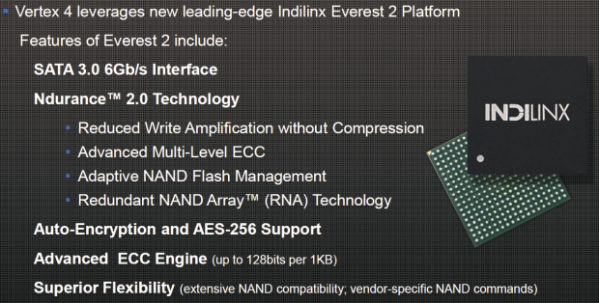 Indilinx Everest is the new controller which powers the Vertex 4 which is basically the ‘brain’ of the SSD. We mentioned earlier that in the past OCZ has always used the SandForce lineup of controllers which weorked very well with the sucess of the previous Vertex series from OCZ. Honestly, to date, there is not a whole lot of information available about the Indilinx controller compared to the piles of info we have on the SandForce. So, what do we know? Pretty much all the information that OCZ cares to share with the rest of us! Most of it comes from a detailed press release foundHERE. But at a quick glance, things look pretty good. 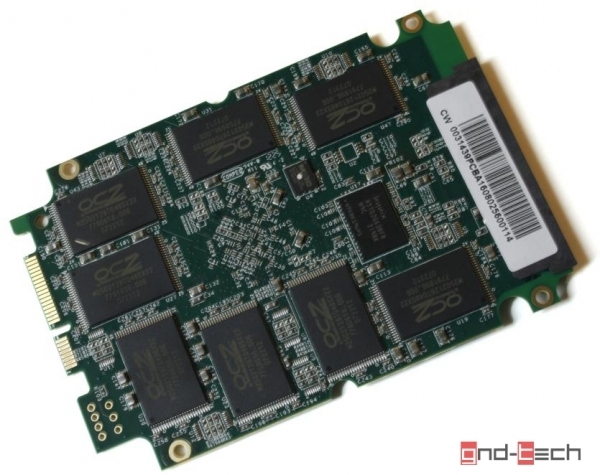 The Everest 2 SSD controller architecture features sequential bandwidth of up to 535 MB/s, maximum random I/O performance of up to 120,000 IOPS, 4K random read performance of up to 95,000 IOPS, and random write performance of up to 85,000 IOPS. In comparison to OCZ’s previous Everest SSD controller generation, the transactional performance is doubled under typical use case scenarios such as managing and creating commonplace data such as MP3s, JPEGs, videos and digital camera RAW files. 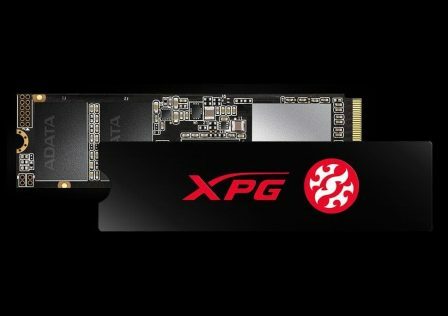 In addition to this industry-leading transactional performance, the Everest 2 SSD controller reduces latency to 0.043ms for read operations and 0.026ms for write operations, yielding an improvement of approximately 80 percent over the previous Everest SSD controller generation. This latency reduction accelerates access to data, and hence, application system performance. The advanced, multi-level BCH ECC engine with progressive error correction adapts to the specific error characteristics of different NAND devices. The programmable ECC engine achieves an effective correction power of up to 128 bits per 1KB of data while significantly reducing the uncorrectable bit error rate (UBER). Proprietary and vendor-specific program and read algorithms are applied, ranging from internal voltage shifting to sophisticated signal processing techniques that minimize NAND flash deterioration, reduce disturbances that affect adjacent flash cells, and improve data recovery. This option safeguards against catastrophic NAND flash failures and uncorrectable data errors by generating parity data information and striping it across multiple NAND flash cells. RNA provides RAID-like protection that enables data to be divided and replicated amongst multiple NAND flash devices within an OCZ SSD. Lower write amplification is achieved by concatenating multiple write requests from the host while minimizing wasteful copy back operations of unaffected data sectors. This approach virtually eliminates excessive programming and read operations while preserving precious program/erase cycles without the need for performance-degrading data compression. The Everest 2 SSD controller platform will be implemented in future OCZ storage solutions with the first being the OCZ Vertex 4 SSD. 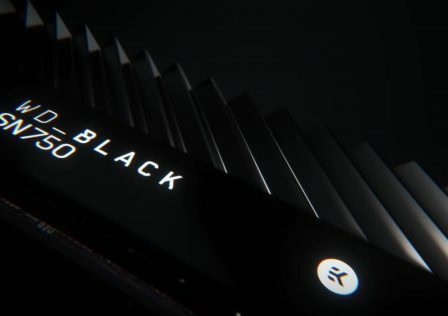 The Vertex 4 SSD will be available through OCZ’s global channel in a wide range of capacities and is ideally suited for demanding computing and workstation environments. The Vertex 4 is packaged nicely featuring some nice attractive design work on the package esterior. Inside you will see that everything is bundled nice and tight, eliminating wiggle-room which could cause damage during shipping. Upon opening the package, you’ll notice the SSD packed into its custom fitted foam shell. Included also are your warranty information, the usual “My SSD is better than your HDD” sticker, a mounting bracket for 3.5″ configurations and mounting screws. The SSD is tucked away in an anti static bag to reduce electronic shock damage. 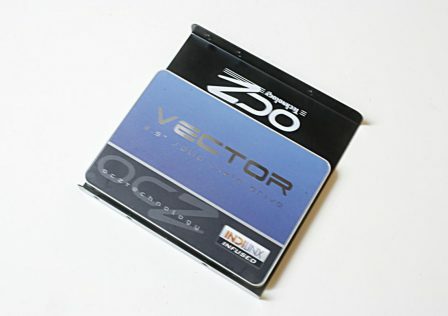 We have always been impressed with the level of care OCZ uses when packaging their solid state drives. Nothing too amazing happening on the reverse side of the drive. Just your basic technical information sticker slapped on a rather nice brushed metal surface. The four screw holes on the bottom are for mounting the SSD to the included metal bracket if you chose to mount this into a desktop in a 3.5″ drive bay. Here we have the included mounting bracket as we mentioned earlier. OCZ was kind enough to include a nice set of screws to help you get the job done. Inside we find the single PCB with all the internal components installed. What probably stands out most is the Indilinx controller chip. 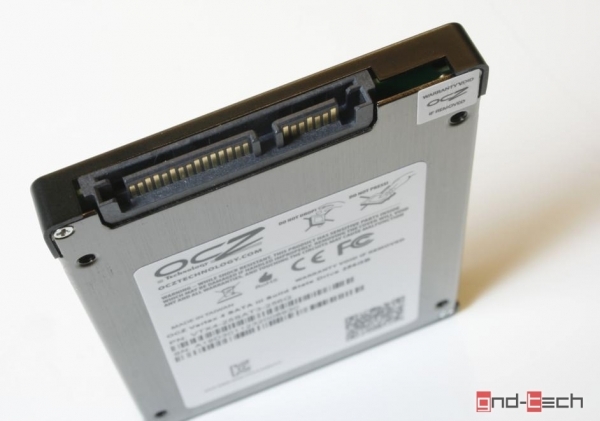 Surrounding the chip are all the OCZ branded NAND flash memory chips. The overall look and feel of the Vertex 4was impressive. The plastic and metal housing did not give off any feeling of cheapness. It had a good amount of weight to it to make it feel like something you are glad you spent your money on. Plus it really makes the drive feel like it achieves a higher level of quality when it is packaged the way this was. Now that we’ve seen what we are working with, lets start crunching some numbers! 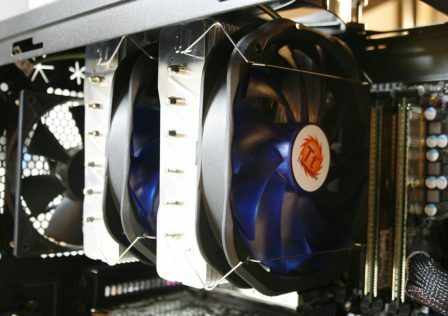 The OCZ Vertex 4 was tested in full SATA 6 mode using a supported motherboard to maximize the performance of the drive. To measure performance we used several benchmark applications geared towards measuring drive speeds or transfer rates. The applications include Crystal Disk Info, HD Tune, Atto Diskmark, Crystal Disk Mark, and HD Tach. The firmware for the Vertex 4 was updated to the latest version running 1.5. The system used was a SAGER NP5160 notebook in full SATA6 mode. Installing the hard drive is about as straight forward as it gets. When installing into a desktop, provided you don’t have a SSD mount in your case, the bracket allows you to mount the drive into any 3.5″ drive bay. From there it is just like installing a typical HDD into a computer. In a notebook scenario, of course installation will vary depending on what you are installing it into, but the Vertex 4’s size and screw configuration will match whatever 2.5″ HDD you currently have in your system. So you should not have to worry about any hard drive incompatabilities. The first program we used after installing the drive was CrystalDiskInfo. This handy program doesn’t really benchmark the drive, but rather gives you basically all the information you could ever want in a nice easy to read layout. From this program we can see useful information and also confirms that we are indeed running in SATA6 mode. For the benchmark read test we were able to just under 300MB/sec for maximum read speeds. On the transfer speed tests, we were able to get the drive moving a little bit faster. This time upwards of 417MB/sec. Numbers looking quite a bit better with the ATTO benchmark utility. Read Speeds maxed at about 434MB/sec while write speeds surprisingly surpassed read speeds topping at over 501MB/sec. Not some thing you normally see on a SSD benchmark since writing is always a bit more complex than reading when it comes to NAND flash memory. After a number of benchmark runs, HD-Tach gave us the worst result so far maxing out at 205MB/sec read. Another lightweight no-nonsense program used for measuring drive speeds at different incraments. Sequential reads proved to be the best with this benchmark measuring at 467MB/sec read and 352MB/sec write. Based on all the results, this program puts out a calculated score which in this case the Vertex 4 achieved 837. So what do all the numbers mean? It’s hard to make sense of SSD transfer speed results from different programs because they are all… well different. Basically all this proves is what the drive can do under different scenarios. Each program benchmarks a little bit differently. Exactly how different we will never know. This is why we did not reach the Vertex 4’s rated speeds of 560MB/sec read and 510MB/sec write. To achieve these speeds you need to hit a perfect set of circumstances under the right conditions. Maybe there is some obscure benchmark program out there that will hit that speed, but it is impossible to tell. 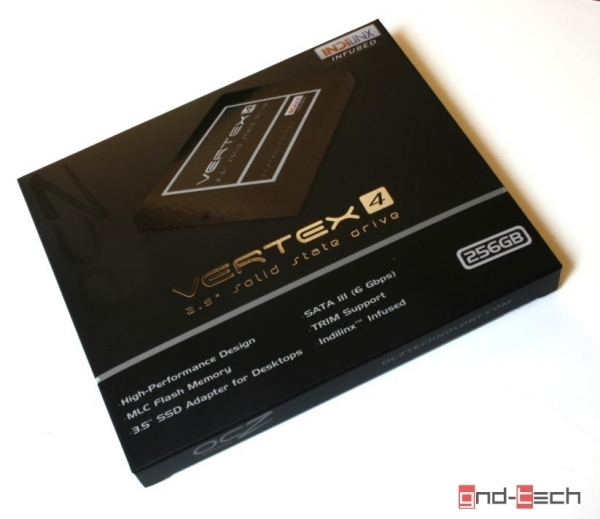 The Vertex 4 is a solid buy for anyone looking for a high performance SSD. 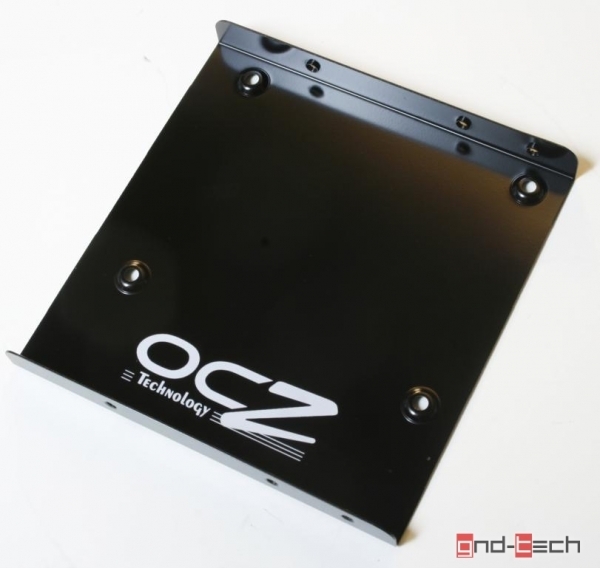 We are always impressed with the care and attention to detail OCZ uses when it comes to their products. To start, the packaging is very careful and efficient. The overall look and feel of the drive is exceptional, and the fact that OCZ includes a mounting bracket is just another reason to upgrade to the Vertex 4. The performance was good though we did not hit full rated speeds of 560MB/sec. But, overall the numbers were impressive and we are excited to see where the new Indilinx Everest chipset takes us with future products with OCZ. The only draw back we could find with the Vertex 4 is the price. With an MSRP of 249.95, it is a bit on the high side compared to its competition. But it is likely you could find it for cheaper if you kept your eyes open. Functionality -This SSD does exactly what it is suppose to do and does it exceptionally well. With this drive you get an array of features that not only extend enhance performance, but also extend the overall life of the drive. With all these modern features packed inside a conveniently sized package we will give this category a perfect score of 25/25!